iTrack Solutions' software is highly versatile, we offer many products to meet your business's specific needs. iTrack Solutions specializes in custom software development, contact us to learn more. All of our products are built using high quality components from Microsoft and open-source projects. iTrack Solutions Inc. is now developing custom IoT solutions for geotechnical applications! 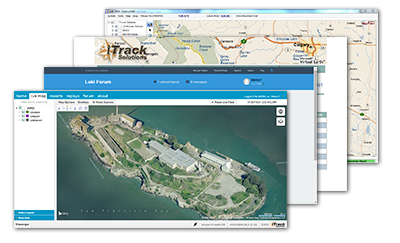 Mobile asset tracking is the core business of iTrack Solutions; our staff has over 25 years of industry experience. Many features included in our software are the direct result of collaboration with our customers. iTrack offers a variety of deployment options, from hosted services to on-premises deployment. Real-Time fleet tracking is often a primary requirement. Our software is capable of handling a large amount of incoming data which can be displayed in real-time on a variety of platforms. We can create custom applications to view and distribute data collected from your CANbus enabled fleet. Gain insight into daily operations with custom designed real-time reports. Safety for independent workers on the field is a critical concern; our products help mitigate the risks involved. Loki Gen 6 offer users a clear, real-time view of their assets. This enables more effective decision making and reduced accidents. Loki Gen.6 is a multi-platform cloud-based product, introduced late in 2014. 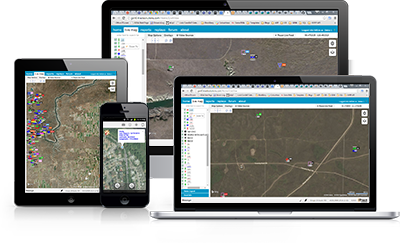 This version supports high resolution web-based mapping with terrain with advanced communication features. Loki Gen.5 software is server and client based software for Windows PC. This system provides clients with reduced bandwidth usage and supports a large number of tracked assets. We offer mobile tracking software for both Android and BlackBerry OS. We also have a mobile component for Drivers Logs. Loki Driver's Log is a time and status tracking application. 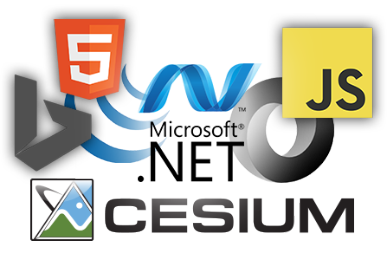 It is a cross-platform web-based product which can be tailored to your specific requirements.